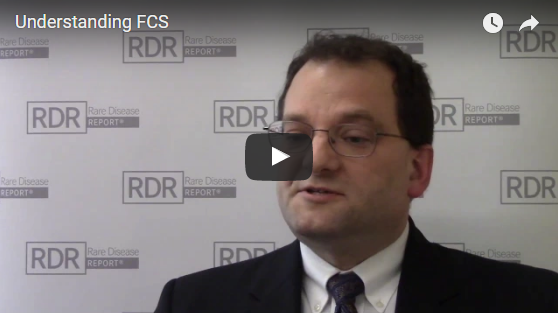 Patients often present with several severe symptoms before FCS is diagnosed. Many experience pancreatitis, an acute recurrent inflammation of the pancreas, which causes debilitating pain and can be fatal.6-8 Others develop eruptive xanthomas (fatty deposits on the skin) lipemia retinalis (milky appearance of retinal veins and arteries), abdominal pain, and hepatosplenomegaly (an enlargement of the liver or spleen).9,10 Patients are also often fatigued, lack energy, have impaired cognition, and develop numbness/tingling that can affect their ability to handle many daily responsibilities. 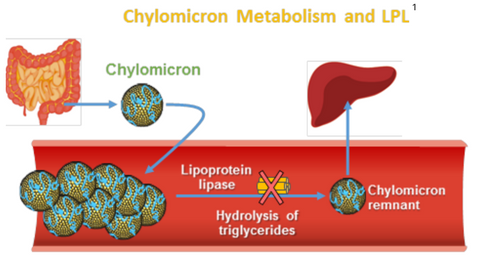 Due to its rarity and the fact that high levels of triglycerides can be attributed to other causes, such as alcohol consumption, uncontrolled diabetes, or certain medications, FCS is often misdiagnosed or goes undiagnosed. 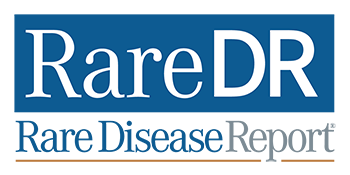 There are currently no approved therapies for the treatment of FCS. In most cases, patients are managed with efforts to strictly reduce the levels of fat in their diet. Why do some people develop FCS?